CeJay Associates, LLC uses state-of-the-art software to analyze the Internet for keywords that apply to your marketplace and website. THIS IS DONE FIRST, before creating content for your site! The content and layout of your website is then created with these keywords for the best showing for your site in search engine searches. The proper coding is placed in the “head” section of each page, inviting search engines to spider your pages. When finished, your site is submitted to search engines relevant to your business for quicker listings. 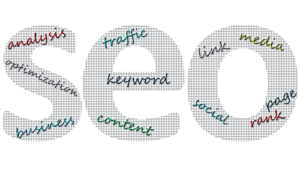 Further submissions are no longer necessary with the search methods that search engines currently use. However, directory listings and listings with industry-specific sites are always a good idea! CeJay Associates can research these for you & list your site appropriately. This service is included within our Maintenance Program. Just putting your web site on the Internet does not assure that it will get seen! Like any advertising media, a marketing strategy designed for your target market is important.